You'll be redirected to log in to your account. Click Connect. After you log in, your license will be activated automatically. If the license key was installed correctly, the message on the top of your dashboard should disappear. If you are still having issues with activating your license key, check to see you haven't copied any spaces or other characters. For any other issues contact our support by using the form on the support page. Note: Elementor Pro is an extension of Elementor. 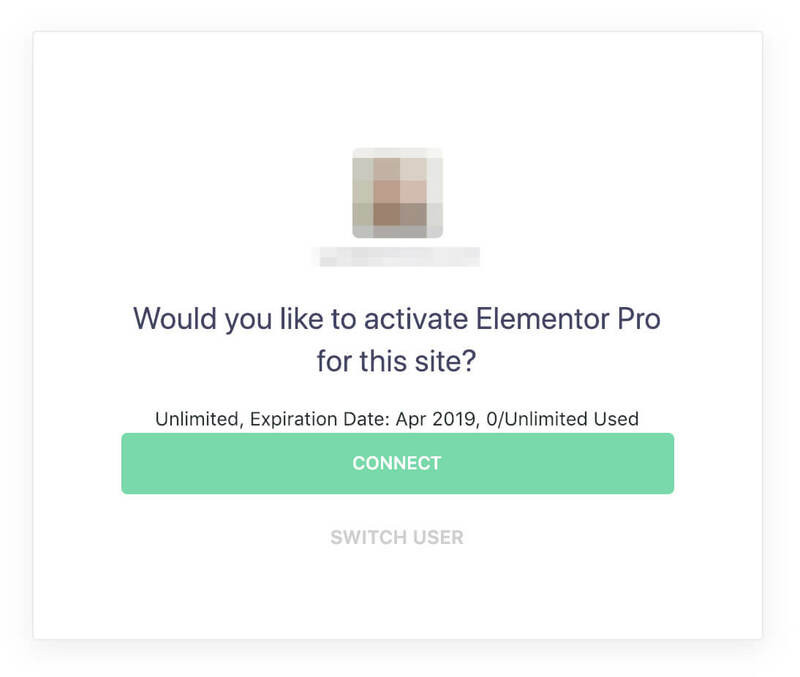 It means that Elementor Pro will not work if you do not install the free version of Elementor.